Grandeco de ĉi antaŭvido: 800 × 531 rastrumeroj. Aliaj distingivoj: 320 × 213 rastrumeroj | 640 × 425 rastrumeroj | 1 024 × 680 rastrumeroj | 1 280 × 850 rastrumeroj | 1 999 × 1 328 rastrumeroj. 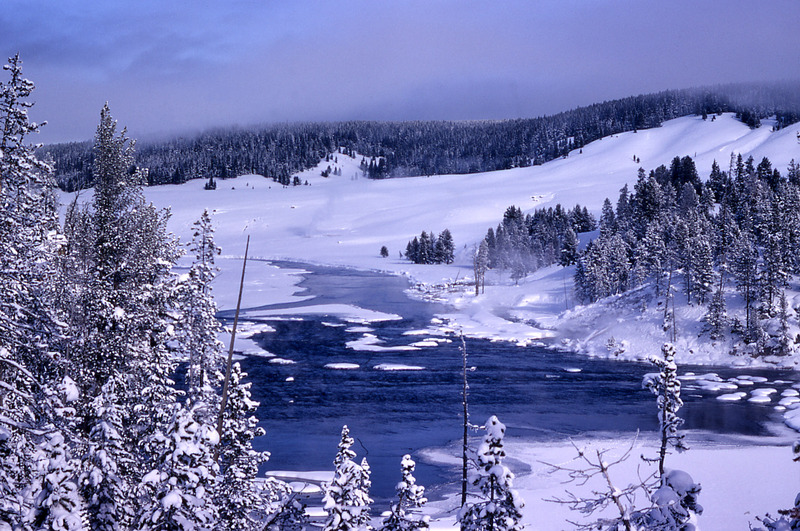 English: Winter in Yellowstone, Wyoming, United States. You can see some steam near the river resulting from geothermal activity.